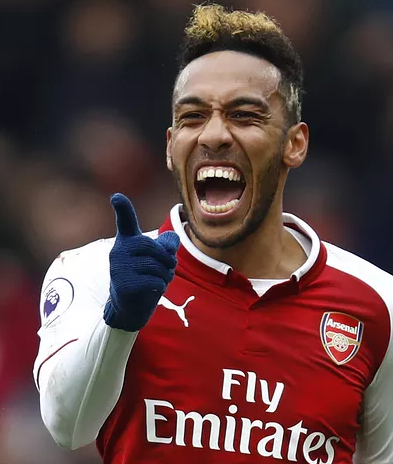 Pierre-Emerick Aubameyang, a French star player, currently plays as a Striker for Arsenal FC by wearing shirt number of 14. He also plays for France National Team. He had played for Nice, Rouen and many more clubs. He is also the captain of Gabonese national team. Pierre started his career in the year of 2008. He was named CAF's African Footballer of the Year and becoming the first Gabonese player to win the award. Pierre is a star footballer playing brilliantly for the club, Arsenal. He is famous for becoming the first Gabonese player to appear in the Bundesliga. Besides this, he is also famous for having a record of running 30-meter in 3.7 seconds. Pierre was born on 18th June 1989. 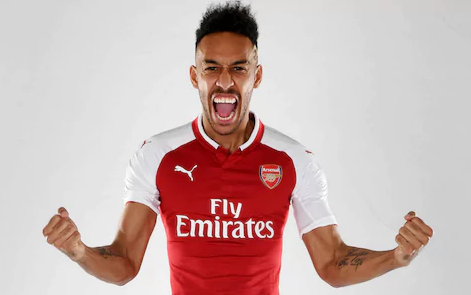 His full name is Pierre-Emerick Emiliano Francois Aubameyang. He was born in the city of France, Lavel. He was born to former Gabinese captain Pierre Aubameyang and Margarita Crespo Aubameyang, his parents. He also has two siblings named Catilina Aubameyang, Willy Aubameyang. His sun sign is Gemini. His nationality is Gabonese. Pierre has a height of 1.87 m and balanced weight of 80 Kg. His face is very charming. His strong body attracts many girls and his body is liked by many girls. Pierre started his career in football by joining Milan's Youth Team in the starting month of the year 2007. Later, he was awarded the "Roberto Bettega Trophy" for being the top scorer of the competition for this team. In the 2008-2009 season, he was loaned out to Dijon and his brilliant performances led him to appear in World Soccer's Talent Scout section. On 24th June 2009, it was announced that Ligue 1 club Lille had decided to sign Pierre on loan and for this club he played 14 goals with 2 goal score. In the 2010-2011 season, he was loaned for the season to Monaco and after playing for 6 monthe, he was loaned to Saint-Etienne until the end of the 2010-2011 season. On 22nd December 2011, he signed a permanent deal with the club Saint-Etienne and provided shirt number of 7. There he played very actively appearing in 37 matches. Later, he joined Borussia Dortmund on 4th July 2013 for 5-year contract and made his debut against Bayern Munich in the DFL Super-cup on 27th July. Again, he made his Bundesliga debut and scored a hat-trick goal against FC Augsburg. He then scored his first Champions League goal in a 3–1 win against Napoli on 27th November. He ended his 2014-2015 season by playing 46 matches and netting 25 goals. Pierre started his 2015-2016 season by making a new contract on 31st July 2015 with the same club, Dortmund till 2020. He along with his team won against Mainz 05, Gabala FK in UEFA Europa League, FC Schalke 04, FC Ingolstadt and with many other teams. On 27 August 2016, he started his 2016-2017 season in the Bundesliga against Mainz 05 with victory score of 2-1. On 20th May 2017, he scored twice in Borussia's final day defeat of SV Werder Bremen to end the season as the Bundesliga's top scorer with 31 goals. On 31st January 2018, he signed for Premier League club, Arsenal with a fee of £56 million and made his debut against Everton with victory score of 5-1. He made his goal in fourth. He made his second goal against Burney with win score of 5-0. Pierre had represented himself in his national country, France in both senior as well as junior levels in many tournaments. He was selected for the Gabon national team on 25th March 2009 and made his debut against Morocco with victory score of 3-2. He was also a main player of the Gabon national side that reached the quarter-finals of the 2012 Africa Cup of Nations. He also represented Gabon at the 2012 Summer Olympics in London. He scored a hat-trick of penalty kicks in Gabon's 4-1 2014 FIFA World Cup qualifying win over Nigeria on 15th June 2013. He has captained Gabon at the 2015 Africa Cup of Nations where he scored the team's opening goal of the tournament in their 2–0 win over Burkina Faso on 17 January 2015. Moving towards his personal life, he is currently in a relationship with Alysha. The couple is also blessed with a son named Curtys. They are living a happy life with their children. There are no any rumors about Pierre with any other girls except his girlfriend, Alysha. He is a very nice person with a handsome personality. Pierre earns an annual salary of £9,360,000 from his current club. His total net worth as of 2018 is estimated to have €12 million. Pierre is very active in the social media as well. He is very popular in the Instagram account with the followers of over 6.4m from the world. Along with Instagram, he has around 900k followers on Twitter. Similarly, his Facebook page is liked by over 600k fans. He is followed by many followers around the whole world and well known by all. Pierre became the first Gabonese player to appear in the Bundesliga. Apart from Football, he also has a record of running 30 meters in 3.7 seconds, which is said to be better than "world's fastest man". Pierre was challenged by German sprinter Julian Reus for a 100-meter race, but Pierre hasn’t yet accepted the challenge yet. Pierre is a fan of sports cars and comic books. During one of his Bundesliga victories, after scoring a goal, he celebrated with putting a Spider-Man mask on.